Consistently ranking in the Top 10 ski resorts in North America, Breckenridge Mountain spans five peaks and 2,908 acres. Every beginner and intermediate trail is groomed nightly for smooth riding the next morning. 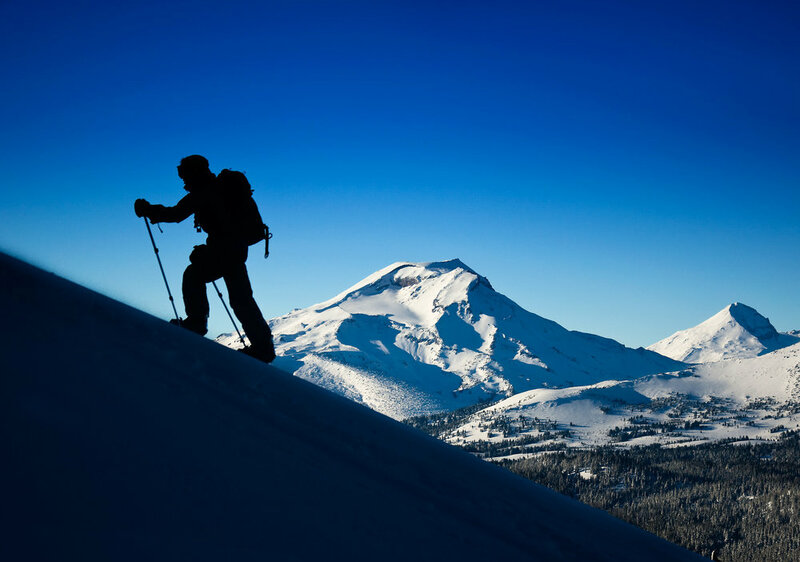 New for the 2013/2014 seasons, Breckenridge has expanded its expert terrain by adding lift access to peak 6 and increasing skiable terrain by 600 acres. For those of you who ride park, Breckenridge’s Freeway is ranked the number 1 in North America by Freeskier Magazine. With a world class 22-foot Superpipe, incredible jump lines, and endless unique jibs, Breck has everything a park rider could ever dream for. *The Bivvi is a 10 minute walk to the Peak 9 Chair or the Gondola can be accessed from a free bus system that picks up at the front door. **Keystone, Arapahoe Basin, & Copper Mountain are all within a 30 minute drive and are all accessible by the free Summit Stage Bus. All Bivvi guests get 10% off ski & snowboard rentals from Ski Butlers. Click Here to receive your super sweet rental deal. Colorado hosts some of the best rock climbing in North America. When the lower elevations get too hot to climb during the summer months, the mountains provide the perfect climate. 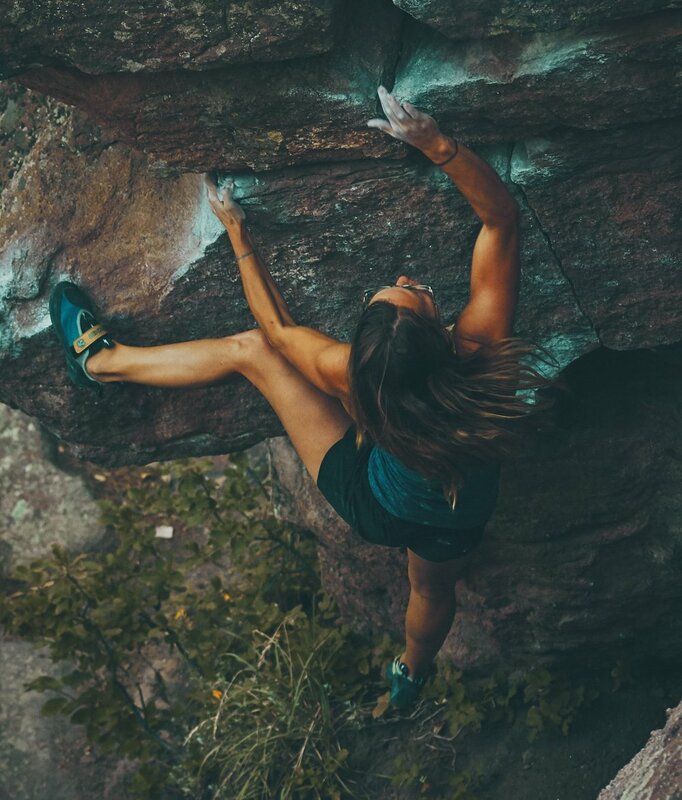 The areas surrounding Breckenridge have fun Bouldering and sport climbing for all levels. With grades ranging from 5.7 to 5.13+ the single pitch sport climbing areas around Montezuma are the most popular in Summit County. This area provides a fun scene during a bluebird summer day with friendly dogs and their owners hanging out around the crag. For those die-hard climbers, we suggest a short trip to Independence Pass for a day full of glorious sport and trad routes on heavily featured granite and metamorphosed gneiss. With over 500 routes to choose from, secluded surroundings, and easy access, Independence Pass gets our vote as one of the top places to climb during a hot Colorado summer. To pick up a current version of the Summit Climbing Guidebook or purchase rock climbing gear check out Mountain Outfitters in Breck 970.453.2201 or Wilderness Sports in Dillon 970.468.5687. During the summer months, Breckenridge offers a variety of scenic hikes for all levels. Whether you are trying to stroll through the nearby forest or crush one of Colorado’s many fourteeners, there is definitely something for you. The trailhead for Quandary Peak (14,265′) is just 5 miles south of The Bivvi, making us an ideal base camp for a pre-dawn departure. For a more intermediate hike, we recommend Mohawk Lakes Trail, which originates a mere 2 miles from The Bivvi. 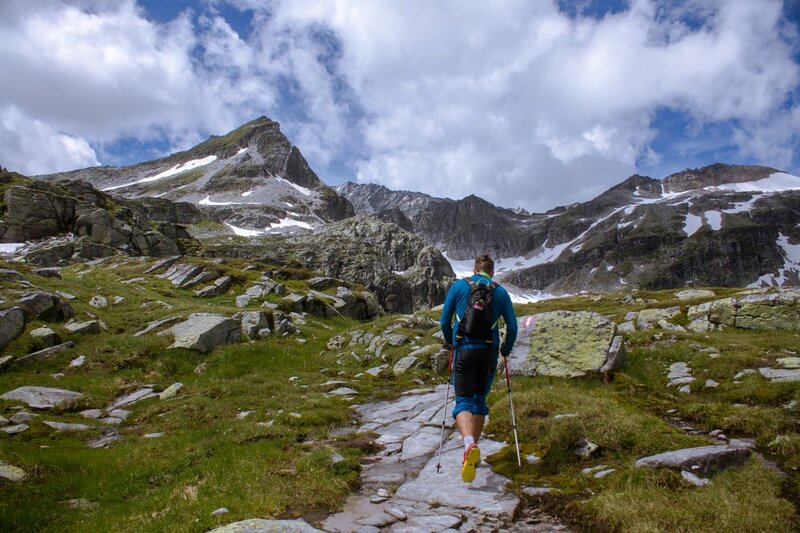 This 6-mile round trip adventure has incredible views of the mountain range, waterfalls, and numerous high alpine lakes to explore. For a more relaxing walk, trails begin from our front door and wind gently through the forest. This is easily navigable and perfect for a quick dose of Colorado nature. Feel free to ask a Bivvi staff member for directions to these special spots. The Bivvi is an excellent jumping off point for White Water enthusiast. Kayakers enjoy easy access to the Arkansas River, sections of the Blue River north of Silverthorne, and the Ten Mile Creek play park in Frisco. White water Rafting in Colorado on the Arkansas River, North America’s most popular river, is nothing short of spectacular. The Ark is the ultimate destination and one of the best in the world! For a Colorado flow report visit Click Here! Whether you want to enjoy mountainous views by coasting 12 miles downhill from the top of Vail Pass, or cut up the endless single track around Ten mile Mountain Range, there are levels of biking for everyone in Summit County. Additionally, three of the Adventure Cycling routes travel through Breckenridge. For mountain bike rentals and tours contact Breck Bike Guides at 970.846.0921 or go to cyclebreck.com. For an up-to-date map of the bike trails around Breckenridge, Click Here! Those of you looking for an experience wielding an ice axe can find challenging climbing routes in both Summit County and Eagle County. With rock walls blanketed in snow and ice, there are routes for every level of climber. For the more experienced, take a day trip to Vail to explore the classic route, The Fang (WI5). If you would like a guided tour or to simply to expand your knowledge on more inspiring routes, contact APEX mountain school at 970.949.9111. The Gold Medal Waters of the Blue River run directly through the town of Breckenridge acting as home to some of the largest trout in Colorado. Great fishing can be had during all seasons, but the summer and fall months are most popular. Within a short drive, you can access the infamous “Dream Stream” section of the South Platte, the Arkansas River, or the Colorado River. For some still water action, the waters of Lake Dillon can show promise, while high alpine lakes are home to many native Cutthroats. No matter what time of year, there are always monster trout lurking in one of the many nearby waters. For guided fly fish tours, contact the folks at Mountain Angler. Summit County is home to the pictureque Lake Dillion reservoir. During the warm summer months, the towns of Dillon and Frisco each have marinas in full operation. When the Dillon Marina is open, hundreds of sailboats can be seen docked or sailing the surrounding waters. The high altitude and variable mountain winds create challenging conditions for even the most experienced sailor. Additionally, the Dillon Yacht Club hosts many weekend racing regattas and other sailing events throughout the summer. 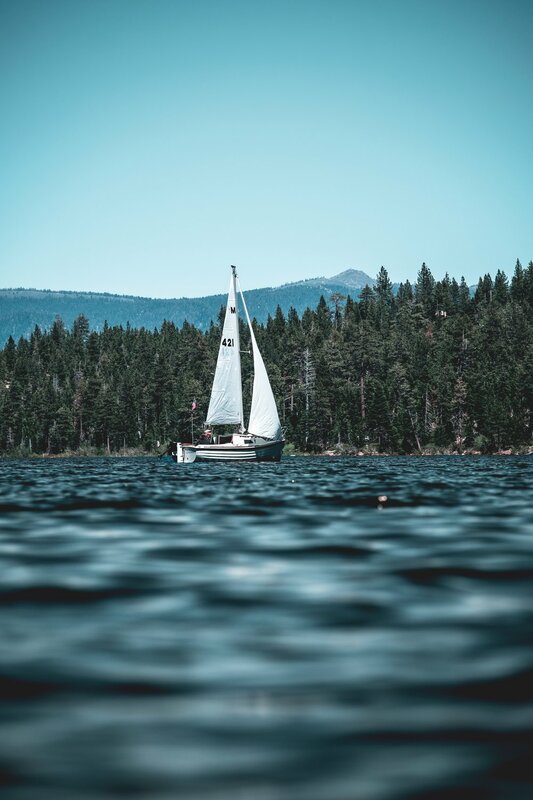 To rent a sailboat, contact Lake Dillion Marina at 970.468.5100. Make sure to ALWAYS check CAIC for backcountry forecasts. Lake Dillion provides adventurers the opportunity to test their balance by stand up paddling the high altitude lake or floating down the Colorado River. Paddleboarding is an increasingly attractive sport because it offers a great form of exercise and is an excellent daytime activity on the water. Few places can beat the views taken in while sup’ing beside the Rocky Mountains at 9,016′. Contact Colorado SUP for all Stand Up Paddle rentals and tours at 970.453.7873. They offer trips on the Colorado River & Lake Dillon, as well as, rentals from Frisco Marina & Dillon Marina. To fully experience high country mountain living, you must hop on a dogsled. Unless your one of the few people that travels with a pack of Alaskan Malamutes, you will have to jump on a tour for this sensation. Good Times Adventures leads beautiful 6 mile tours through winding trails along the Swan River Valley. During this excursion, each guest has the unique opportunity to lead the whole team of Siberian Huskies, as they pull you through Colorado wilderness. Yoga is refreshing for the mind & body. We fully endorse making this practice a part of your daily life. Meta Yoga Studios in Breckenridge hosts numerous workshops, as well as, daily classes year-round. Their studio has great views of the mountains and is a short distance from The Bivvi. Nothing will get your day started better than a sunrise yoga session then a cup of coffee from Cuppa Joe (next door). Also, be sure to check out Meta’s Stand Up Paddle Yoga classes during the warmer months. For a complete schedule and list of upcoming workshops, go to metayogastudios.com. Namaste. Home of snowmobile legend Jay Quinlan, the areas surrounding Breckenridge have incredible sledding. 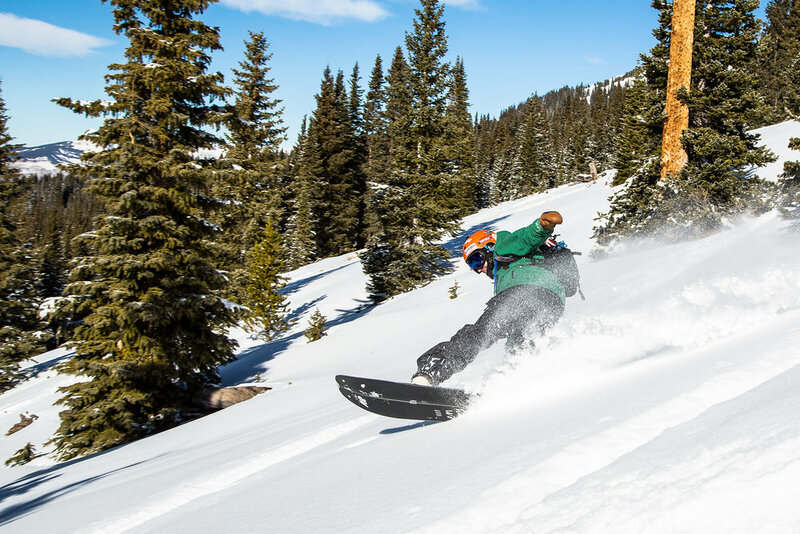 While the trails adjoining Tiger Rd are the most popular throughout the winter, there are plenty of secret stashes between Vail Pass and the continental divide to entertain the most experienced sledder. 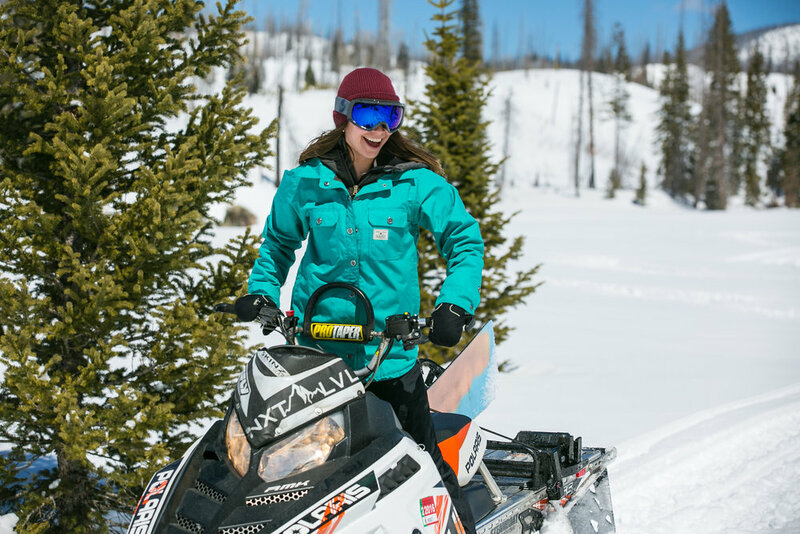 If it is your first time on a sled or just did not bring your own 600 lb snow machine to Colorado, get in touch with the people at Good Times Snowmobile Tours. They have been operating snowmobile tours in the area for over 25 years and will show you an incredible backcountry experience in the heart of the Colorado Rockies. 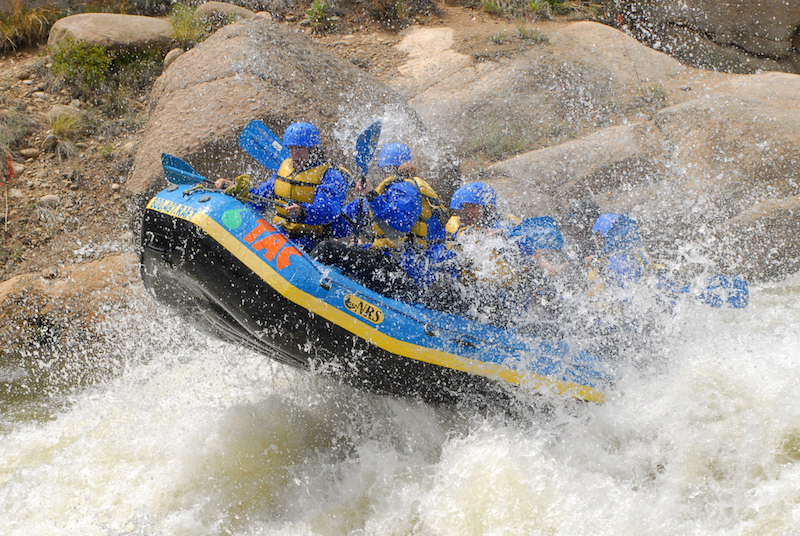 It is hard to beat the thrill and excitement of whitewater rafting in the Rocky Mountains of Colorado. The Breckenridge area has some of the best whitewater rafting in the country with great options for both families and adrenaline junkies. With such great rafting in the Breckenridge area, The Bivvi has teamed up with the experts at The Adventure Company to offer you Summit County’s best whitewater rafting with this exclusive offer. Our guests receive a discount plus free use of their sanitized wetsuit gear! Follow the link below to choose from Breckenridge’s best whitewater rafting options. Come to Breckenridge and have the best round of your life, as balls tend to fly 20% farther through the thin mountain air. The Town of Breckenridge can boast the only municipality in the world to own a Jack Nicklaus designed, 27-hole golf course. 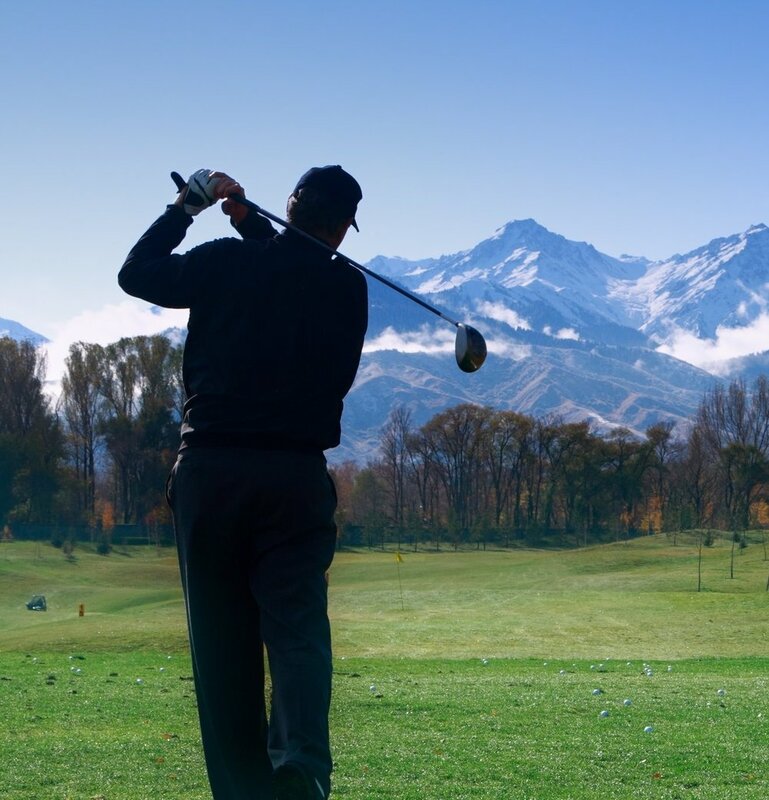 Nearby in Summit County you will find 36 amazing holes in Keystone, spectacular views of the Gore Range at Eagle Nest Wilderness, and the highest competitive course (9,700’ft) in the nation at Copper Mountain. © 2018 Copyright by Lost Footprints, LLC. All rights reserved.